Organic is the best kind of ingredient you can give your skin. Our Mytopface Expert team decided to try out three organic skin enhancers. Vision yourself in a soothing setting to better enhance this journey as we walk you through our experience with Mullein and Sparrow. 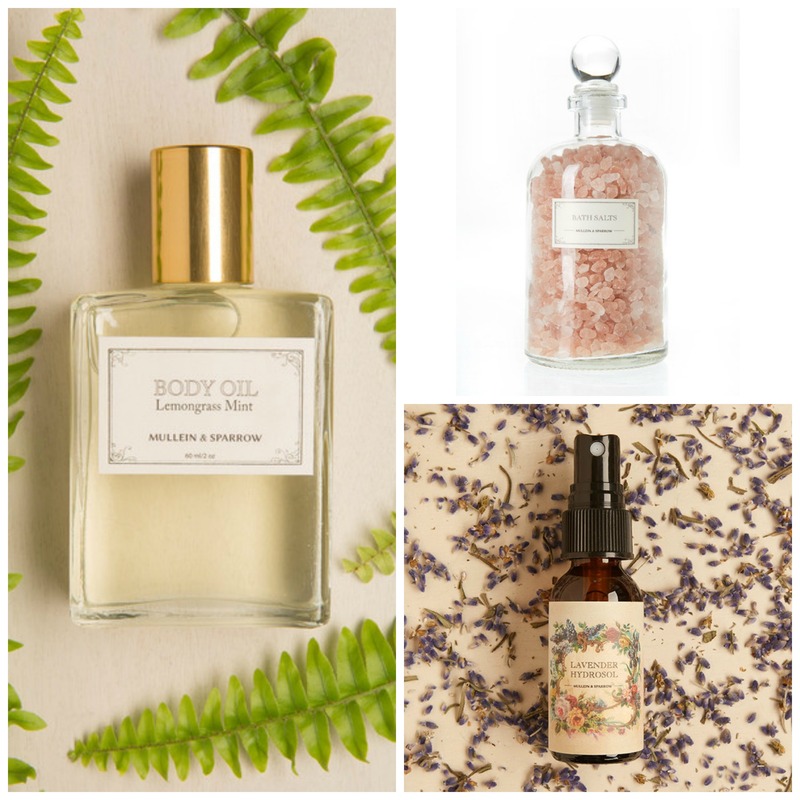 We chose to try their Lemongrass Mint Body Oil, Pink Himalayan Bath Salts, and their Lavender Hydrosol. If you thought you had your skin care routine figured out, this body oil will have you reconsidering. 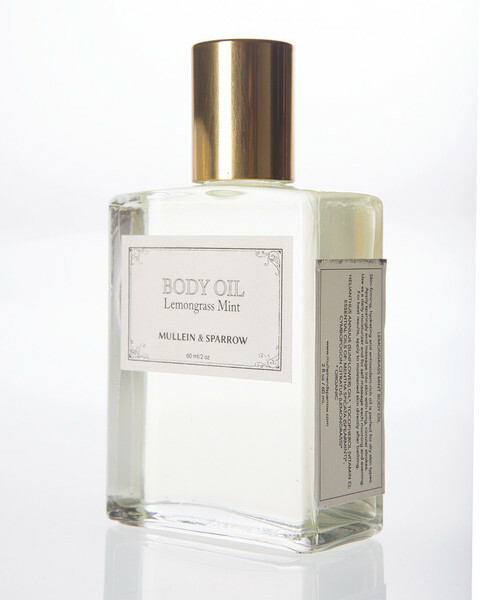 This Lemongrass Mint Body Oil can be used as a daily moisturizer at any time of the day. The moisturizer can be added to your bath water, or be applied directly to your skin. A moisturizer filled with harsh chemicals can be displeasing, so Mullein & Sparrow created this complete organic moisturizer that smells great! We are always on the go, and we know you are too. If you don’t feel like lugging your bottle around, this bottle comes in a mini size, even more perfect when traveling or running errands. Oh, and no worries, this moisturizer works well with and on all skin types, including dry skin. Our Experts experienced ultimate satisfying results when they applied the product to wet skin right after bathing. Small, soft, circular strokes are advised. One last pleasing factor to will satisfy your sense of smell is that this product has a soft, pleasurable scent. The scent carries a natural, revitalizing smell that you and anyone around you can enjoy. 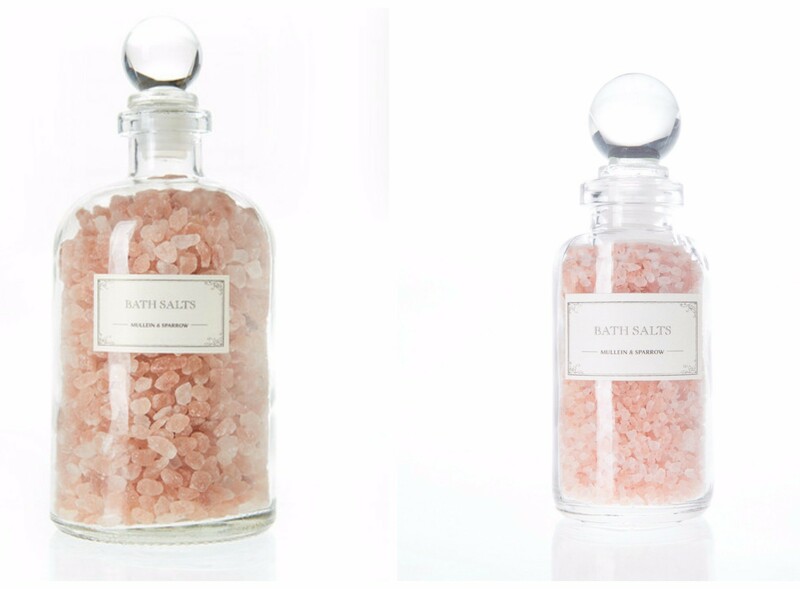 We all love a good bath salt that actually smells good and softens the bath water for a more enriching experience, and Mullein & Sparrow’s Pink Himalayan Bath Salts do just the trick! The organic ingredients found in the salts dissolve as soon as they hit the water, releasing minerals that will make it’s way into your body, adding a pleasant feel to accompany its floral aroma. 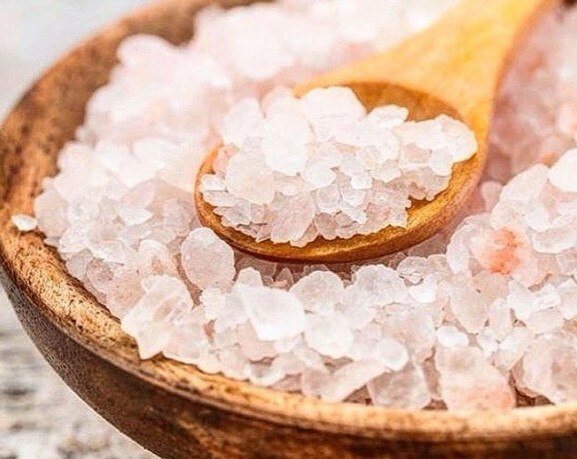 If you’ve been stuck in a bad mood all week, these bath salts are often used as aromatherapy techniques to alter one’s mood by using plant materials. A warm water temperature is key to making your bath salt experience magical. Sensitive to harsh scents? Well, the vanilla, citrus, tea tree, and rose incorporated into the ingredients gives off a soothing, refreshing smell. We loved that the scent stayed on our skin for a long period of time. One last amazing thing about these Bath Salts is that Mullein and Sparrow also provides a mini size, to better convenience your needs. Getting the results you want shouldn’t take a lot of work. 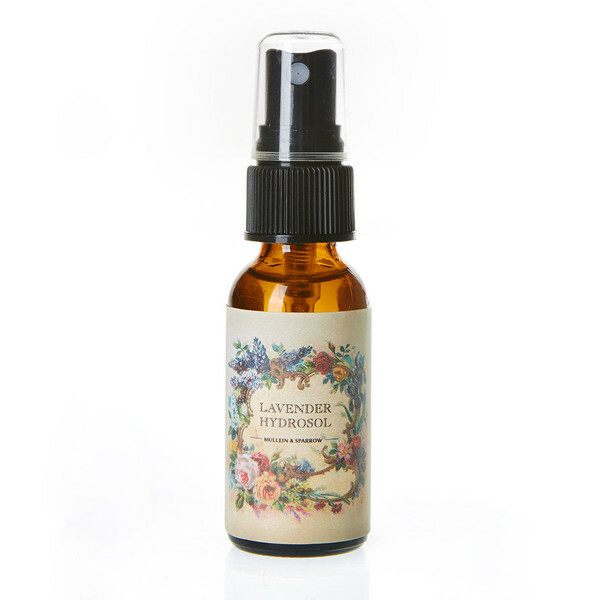 Mullein & Sparrow’s Lavender Hydrosol requires nothing more than a light mist to work it’s wonders. Misting once directly onto your face is the perfect amount to hydrate your skin. The lavender scent that accompanies the mist is nice, light, and invigorating. The scent is not artificial, it is actual oil collected from a plant, making it organic and unmodified. All herbs absorbed into the hydrosol are certified organic, so no unpleasant or toxic substances are being sprayed onto your face, the area around you, or anywhere on your body you might feel like spraying. We know convenience is necessary, and Mullein & Sparrow made that happen when they made the bottle a compact size that can easily be tucked into a small compartment when on the move. 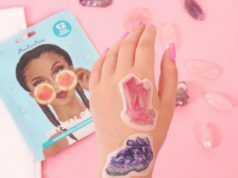 To say the least, we really recommend and love these products, and hope you soon will too! Our experience with Mullein and Sparrow was a lovely one, one that you can achieve, too!